The Premise: The best way to keep passwords secure is to change them all the time. Changing your passwords frequently is the best way to keep accounts secure, right? Or does frequently changing passwords cause users to lean on easily predictable patterns that ultimately make things less secure? 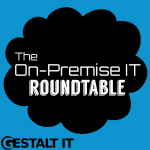 The roundtable discusses what the best approach is, whether two-factor authentication changes your approach, and what changes when considering personal vs organizational passwords.